Bernard “Wayne” Bushey, age 80 years, passed away early Thursday morning, May 18, 2017, in the University of Vermont Medical Center with loving family at his side. Born in Sheldon on, March 16, 1937, he was the son of the late, Kenneth B. and Lucille B. (Bachand) Bushey. He graduated from the former Highgate High School and on, July 7, 1956, was married to the former Aleta Cooper who survives him. After graduating from High School, Wayne entered the U.S. Air Force where he served a four year tour. After his military tour, he moved his wife Aleta and young family back to Highgate. He took over the management of the Highgate Mobile Station where he ran the business for a number of years before taking employment at the Sheldon Paper Mill, while at the same time working part time for Buster’s Mobile in Swanton. Wayne’s interest in making the Town better started early. In 1961, the Town received its fire protection from the town of Swanton. The voters of Highgate authorized the formation of a volunteer fire department. Wayne and a handful of individuals formed the Highgate Volunteer Fire Department. He was the department’s first chief and served in that position for five years. Always a hockey fan, he was often seen on Wednesday and Saturday nights on his roof trying to dial the antenna for the Canadian Station showing that night’s hockey game. In 1971, when the interest in ice hockey grew in Highgate, Wayne and a few hockey minded folks reorganized a youth hockey team. After a year, the team grew into more teams and the Missisquoi Amateur Hockey Association was born, and Wayne was the organizations first director. After 40 years, the organizations community spirit thrives in Highgate. In 1975, Wayne took on a new challenge in our community when he was elected to the Missisquoi Valley Union High School board. He served on the board for fifteen years making important decisions about hiring school officials, school infrastructure and support systems, and interacting with the community about all aspects of the school district. Wayne and Aleta also found time to start a Cub Scout den in Highgate and operated the den’s activities out of their home for a number of years. 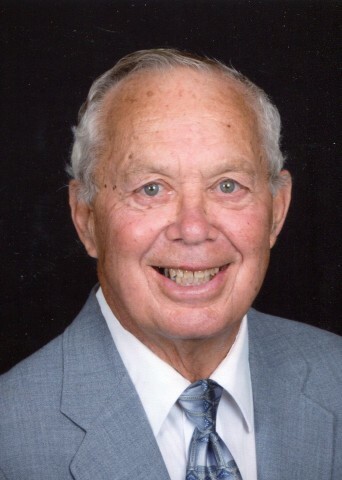 Most recently, Wayne continued to contribute to the community by delivering meals through the Meals on Wheels program, served as a member of the Knights of Columbus, and for the past few years, prior to Wayne’s illness he mowed the St. Louis Church cemeteries. Wayne has lived through times when the community helped raise and develop all the youth of the Town. He has been a mentor to many before the term was popular. Wayne has been one of the citizens that when a need in the community arose, did not make excuses of why he couldn’t help, but rose to the challenge. In addition to Aleta , Wayne’s wife of 61 years, he leaves his daughter and her husband, Lisa and Bruce Therrien of Highgate Springs; three sons, Jeffery Bushey and wife Wanda of Highgate Springs, Stephen Bushey and wife Linda of Zephyrhills, FL and Bradley Bushey of Highgate Center; grandchildren, Eric and Michaela Bushey, Heather Bushey, Courtney and Christopher Norris, Brent Bushey, Brady and Hilary Therrien and Chad Therrien; great grandchildren, Jordan, Dylan, Rylee and Paxton; four sisters and their husbands, Rita and Laurel Spears, Janet Donna, Debbie and Clarence Miller and Paulette and Douglas Vincelette; two brothers and their wives, Ronald and Agnes Bushey, Mark and Mary Bushey, as well as several brothers-in-law, sisters-in-law and nieces and nephews. Besides his parents Wayne was predeceased by a brother and his wife, Blair and Iona Bushey and brothers-in-law, Arthur Donna, Robert Flint and Robert Cooper. The Liturgy of Christian Burial will be celebrated Tuesday, May 23, 2017, at 11 a.m. from St. Louis Roman Catholic Church, 186 Lamkin St. Highgate Center. Father Luke P. Austin will be the celebrant and homilist. The Rite of Committal with full military honors will follow in St. Louis Cemetery. Friends may call at The Kidder Memorial Home, 89 Grand Ave., Swanton on Monday from 4 to 7 p.m. Gifts in Wayne’s memory may be made to the Highgate Recreation Department, P.O. Box 189, Highgate 05459.